For the final assignment in OLTD 507, I created an introductory graphing lesson aimed towards adult literacy math learners. This lesson was housed in VIULearn, and includes content as html pages in the website as well as activities designed around various cloud tools. Since VIULearn is password protected, I created a screen capture highlighting some of the activities within my lesson. Prior to creating a lesson, we were introduced to 3 different course design styles; Project based learning, Flipped classroom, and the traditional delivery model. My teaching style and the course I chose to create a lesson for worked best with the traditional delivery model. This model provides a hook, instruction on the concept and then time for the students to demonstrate their learning. The lesson needed to include evidence of Universal Design for Learning (UDL) principles, and use a minimum of two different cloud tools, discussion, and an assignment with a rubric or assessment criteria. When creating the lesson, I revisited the idea of Backward Design, and determined what it was I wanted my students to be able to understand by the end of the lesson and how they would demonstrate this learning. This helped guide my choices of learning activities and cloud tools for my lesson. While I have been working towards a blended learning environment for my students, after completing this lesson build I realize that I need to re-evaluate some of my lessons to ensure they are easy to follow, support many different learning styles and meet universal accessibility guidelines. While some content may come prepackaged, many online educators create their own lessons or customize existing ones to suit their own teaching style. Being able to create online units or lessons that include effective use of cloud tools is an important skill for educators. It is always important to create clear, easy to follow lessons but if you are operating in an online environment (without the advantage of face-to-face) it is even more critical. A well-crafted online lesson starts by having a clear idea of what you want your students to know and how they will show you. Knowing this can help guide your choice of cloud tools that will meet your objectives. Develop emergent expertise with at least one social media tool for education. Creating this resource package helped me realize how important it is to be aware of what policies should guide my assessment of a social media or other cloud tool. As I teach at a post-secondary institution, my guiding policies were somewhat different than those of my cohort that teach in the K-12 system, but the underlying principles are the same. It is important to ensure all students have a safe learning environment where their privacy is protected. I now understand what information is necessary to share with parents (or in my case the students themselves) prior to asking them to use a tool. The Planning & Tool Risk Assessment Worksheet prompted me to discover information about my chosen cloud tool that I had never before considered investigating. Understanding where to find cloud tools privacy policies, what personal information is collected and where it is stored, and whether privacy settings can be adjusted are all important pieces of information that can help determine whether or not a tool is appropriate for my students. Social media tools can be ‘flashy’, trying to entice users with various bells and whistles. As an online or blended teacher, it is important to develop appropriate activities for any tool you wish to use, rather than let the tool guide how it will be used in an educational setting. If the tool does not fit the activity or learning outcome you wish to achieve, then a new tool must be chosen. When using social media tools, teachers must ensure that the parents (or adult students) have been informed of privacy risks and have given their consent. Knowing how to create a useable permission form for use in your classroom, as well as being able to share that resource with other educators, whether within your own school or your larger personal learning network, helps contribute to a socially responsible teaching community. As our education system experiences greater pressure to get more done with less (equipment, teachers…), science teachers may begin considering the use of online labs to partially or completely fulfill the laboratory requirement. Online science labs are not created equal. There is a difference between a virtual lab and a simulation. The earliest online lab activities were predominantly virtual, in that they mimicked an actual lab experience by providing minimal interaction and feeding participants the data. Simulations, often but not always created by computers running algorithms, provide a more realistic, hands-on feel to an online lab (Keller, 2008). Both have their place in science education. It’s not just K-12 that may be feeling the pinch. Universities are turning to virtual labs to help relieve the backlog of students needing to take introductory science courses that have a hefty lab component (Rivera, 2014). Running extra sections of labs costs money, in terms of both personnel and wear and tear on lab equipment. If students can get the same experience at home, why shouldn’t they? That to me really is the sticking point. Are students getting the same experience that they would in a hands-on lab? I don’t think so. Virtual labs are great for many things, including reinforcing concepts learned in class, learning the names and functions of various equipment (especially if your own lab doesn’t own a fancy spectrophotometer or gel electrophoresis setup) and being able to safely explore questions like “What will happen if I mix this and this?” During this week’s Virtual Lab seminar, our group reviewed some fantastic virtual lab/simulation lab websites that ranged in difficulty of both content and user interface. But with all of them I feel that there is a sense of isolation; one of the things I think students enjoy the most about hands-on labs is the chance to talk to each other and help figure things out together. This is missing from online lab work. It is not always possible, especially if your class is 100% online, to blend hands-on with virtual labs. But my experience this past semester with a blended approach in Biology 067 (Biology 12) (1/2 of our labs face-to-face, 1/2 online) has been very satisfying. Students seem to like that they have some time ‘off’ to work on their online lab on their schedule, but appreciate being able to handle real equipment, such as preparing a microscope slide and viewing your own cells. There are some issues with marking of online work, as students don’t always ‘get it’ (again, probably because they are working in isolation) and the labs tend to take a bit longer to mark. But I think a solution to this may be to provide a preamble for each online lab that discusses the major concepts and helps direct students to some of the observations they will be making. I’m sure I could put together a list of FAQs based on the labs I have marked. Will virtual labs ever go away? I don’t think so. But I don’t think they will ever completely replace the real thing. Eeny Meeny Miny Moe – How do YOU choose your cloud tools? So many choices! How does one decide? You just get used to one tool and then a new, shiny tool flits into view. You begin to chase it down and soon you are mesmerized by all the bells and whistles it has to offer. The next thing you know you have spent hours figuring out how it works. But is the tool even useful? Will it help you meet your learning objectives? What should you know about a tool before you make that commitment? As part of the first major assignment in OLTD 507, I spent some time figuring out what criteria might be important in helping decide the applicability of a cloud tool. I found it challenging to put into words what I felt I intuitively knew, and struggled with making a list of questions that would produce the final summary I was looking for. The following screencast introduces you to my tool (created using Microsoft Excel) and walks you through one example to see how it works. The screencast was created using ActivePresenter, one of my Top 3 Tools for Teachers! Many cloud tools are great for both teachers and students. Even though I have yet to incorporate TEDEd into my courses, I can see that it is a useful instructional tool, and students would benefit from the variety of ways they can interact with the content. I look forward to exploring this tool further. I have used Quizlet with my students; they really enjoyed having an online study tool, especially for challenging biology vocabulary. Students can also share their flashcard stacks. As an instructor, I like that you can create word lists or math questions that students can practice in preparation for a quiz or test. Mindmaps are a powerful and somewhat underutilized tool. If I had to choose one mindmapping tool for students, I would lean towards Bubbl.us. In addition to a variety of color choices and an intuitive interface, Bubbl.us puts the text in boxes (or other shapes) which I find helpful if you want to create an empty mind map skeleton. As a blended learning instructor, creating screencasts is becoming a larger part of my class prep. ActivePresenter is my favourite screen capture tool. It has many features similar to software such as Camtasia but it is free! With such a wide variety of cloud tools available, it is possible to find a tool to fit just about every teaching and learning situation. To instruct, engage and inspire my students I lean heavily on YouTube for videos. For example, for Biology I can find videos that are serious (e.g., Neutrophil Phagocytosis) or entertaining (e.g. Amoeba Sisters: Mitosis). 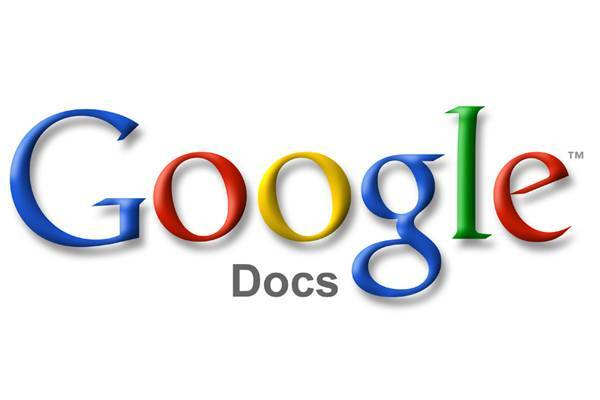 One of my favourite online tools for collaboration is Google docs. Students can access their document from anywhere and sharing files with students (or between students) is simple. Digital mindmap tools such as Coggle and bubbl.us are also great collaborative tools, allowing students to visualize connections using images and colours rather than simply text. Creation of a mindmap could be assigned to a class in preparation of a unit (show what you already know) or as a summary of what they have learned. Symbaloo is a wonderful organizational tool for students working in an online environment. It can be challenging to keep track of the various websites used for different courses, and symbaloo provides a visual way of organizing weblinks. Teachers can create a symbaloo (webmix) that includes classroom links tailored for a specific lesson or course that they can then share with their students. This tool is also a great way for students to curate their work, creating an e-portfolio. Assessment of student progress can take many forms. One way for students to show what they have learned is through the creation of a website or blog. I have used Weebly and found it easy to use. Through Weebly, students can reflect on their learning and post artifacts that illustrate their understanding of a topic. If students need to hand in an assignment, and posting it on a Weebly site is not appropriate, Dropbox is an option. However, a disadvantage with Dropbox is that you cannot send feedback to the student through this same dropbox; another method of communicating needs to be used (e.g. email). Students can self-assess with Quizlet, an easy to use flashcard interactive website. Instructors can create flashcards for the students to use, but I have found it effective to have the students create a set of flashcards as an assignment to share with their classmates. For inquiry based learning, I would like to further explore TedEd. I am intrigued by the multimedia approach provided with this cloud tool. ‘Dig Deeper’ questions encourage students to seek out additional information to supplement the main lesson. Students can also self-assess with the quiz feature and participate in discussions with their classmates. Discussion questions can be designed to further encourage higher-level thinking. These mini-lessons can be built by a teacher to match specific course curricula and could be used as an introduction to a topic, as the main lesson on a topic or as a review. One drawback to consider when using cloud tools is the digital divide. Not all students have access to the same technology or services and will not necessarily be able to fully participate in all online activities when not at school. Some tools may require high-speed internet connection or use large files that take a long time to download. This can make it challenging for students that live in areas of poor connectivity, are unable to afford a high speed connection, or are using older hardware that is not capable of working with larger files. Choosing tools that allow the user to work offline would help alleviate this problem. As the level of technological skills in a class is varied, an instructor may consider using tools that are simple in design and intuitive in their use. Tools should not be used simply for the sake of using the ‘newest, shiny toy’. It is important to carefully consider how the tool will help the student meet the learning objectives. It may also be necessary to limit the number of tools introduced to a class; too many may be overwhelming to students. Despite these drawbacks, cloud tools can be used to improve or enhance the online learning experience for students. By incorporating a variety of media, different learning styles can be addressed and a topic can be approached from many angles. Students also have access to a range of ways to show what they know, and can choose a tool that best supports them in illustrating their learning. Cloud tools may also increase student engagement and interest in a topic or course by encouraging interactivity and collaboration. By becoming part of a learning community, students may be more likely to engage in active learning. This is a common response when I bring up the challenges of using technology in my courses. I teach a blended biology class, where students have an online lesson one day each week. Often a student’s computer is their cell phone. I challenge any educator to complete an online class using only a tiny cell phone screen! Technology would benefit my literacy math class, but the digital divide is even more prevalent with this group of students. A ‘digital divide’ is unequal access to Information and Communication Technologies (ICT) due to geography, socioeconomic status or knowledge (Wikipedia, 2014). According to the Canadian Federation of Students (British Columbia) (CFSBC) (2013), the proportion of aboriginal students in ABE is higher (at 12%) than in traditional K-12 systems. This student population identifies as visual or graphic learners and ICT can support this method of learning (Thiessen & Looker, 2010). However, 71% of ABE students live on an annual income below the poverty line, even though half are employed full-time (CFSBC, 2013) and only 58% of households with incomes $30 000 or less have access to the internet (Statistics Canada, 2012). Students believe they learn more using computers than from reading books or watching TV (Thiessen & Looker, 2010), but without access at home they are required to remain on campus outside class time. Since 29% of ABE students support a family while attending school (10% as single parents) (CFSBC, 2013), class time may be the only time they have in the day. I see the value in using technology in my classroom, but I still struggle with how to create an equal learning experience for all my students. Seeing the statistics has made me realize how challenging this may be. I’ve been musing this week on how I share and how I might increase my participation in open sharing. I really like the ‘idea’ of sharing, but sometimes I find it very difficult to do so. Not because I don’t want to share, but I think I fall into the same trap as many of my colleagues. I’ve included the title of Derek Sivers YouTube video “Obvious to you. Amazing to others” in my infographic to remind me that what I create does have value. I do think that I have begun to share more openly. For example, I actively share ideas with my colleagues (whether they want to hear them or not). As VIU CAP campuses are spread out geographically (Cowichan, Nanaimo, Parksville and Powell River), I would like to create a space where all our science teachers can share content, question libraries and teaching ideas. The vehicle for this is still uncertain, but since VIU uses Desire2Learn (VIULearn), that may be the way to go. I find it incredibly challenging to produce a weekly blog. Personal writing does not come easy to me, but I intend to keep at it and stay committed to writing on my blog page. I think part of my difficulty with writing is the openness of it; the fact that I am posting online where everyone, even people I don’t know, can ‘see’ my thoughts. A little unnerving! There’s that little monster again…”no one wants to read what I have to say – it’s not important.”Finally, I would like to explore Creative Commons content more. I tend to try and ‘recreate the wheel’, but see the value in revising and remixing resources that are already out there. I have never submitted anything for open use online, but would like to in the future. The ‘How-to’ of the infographic: I created the image above using Canva, an amazing free software that lets you create posters, slides and infographics. Super easy to use with lots of templates, backgrounds and images! All educational content not under third party copyright can be used and reused according to Creative Commons licensing, specifically ‘Attribution-Non-Commercial-Share-Alike’. Material can be downloaded as well as linked to your own course website. When searching around the site I found the download feature did not work (even when registered), but this is likely due to the fact that LabSpace is currently in a read-only mode, as it is under redevelopment (cannot create or remix content). It will be re-launching under a new name, OpenLearn Works, soon (website says ‘Spring 2014’ but no specific date). There are four possible levels in LabSpace courses; introductory, intermediate, advanced and masters. The content in these three courses is well-suited to the levels assigned. For example, the biology courses give enough of an introduction to various organ systems that the reader can make sense of the expanded concepts. The math course begins with place value and scaffolds from there. The suggested completion times are appropriate for most learners. However, if I were to use the math course with my literacy learners I would expect that it would take them longer than 5 hours. The courses use a mix of graphics and audio to enhance learning. For example, the course on athletes and hearts includes audio clips from different athletes describing their real life training experiences. Each course begins with an introduction. A Table of Contents is provided running along the left-hand side of the webpage, so it is easy to navigate to different parts of the course. The ‘Athletes and Efficient Hearts’ course included study skills, like creating mindmaps, bulleted summary lists, using a learning journal and completing a glossary. I thought these were particularly helpful. I did not see these included in the other two courses, so it really depends upon who created the course. Registration with LabSpace is free, and if you register, you can discuss a topic in a forum, write a journal entry online, complete quizzes, and participate in an online learning community. You also need to be registered to download any of the resources. There are usually questions embedded within the courses, and registration hides the answers until you are ready. Otherwise, the answers are shown at the same time as the questions. All courses hosted in LabSpace must follow strict accessibility guidelines. For example, support for the visually impaired includes being able to skip over navigation links to main content, ‘listen’ to the pages, and play audio and video materials through a wide range of media players. Over 90% of video and audio materials have textual descriptions or transcripts to accompany them. It is easy to search LabSpace. Content is arranged by topic, so you can either search in the search box, or you can select a topic from a menu at the bottom of the homepage. LabSpace…not just a place to find content! There are three additional ‘spaces’ in LabSpace: ProjectSpace: “provides an online environment where partners or members of an organization can collaborate on the research and development of open educational resources” IndieSpace: “dedicated to users who are unfamiliar with how to remix material, upload their own material or use [LabSpace] tools” SectorSpace: provides space to “showcase OER in an open learning environment, make OER practice public, and experiment with OER learners”I am not sure if or how these additional spaces will change with the re-development of LabSpace. For the purposes of this review I focused on the educational content piece, but I am interested in looking into the other ‘spaces’, in particular the IndieSpace. I think everyone would be able to find something they could use, whether linking directly to the site to use as is, or downloading the content to remix. LabSpace runs on a Moodle platform, so many educators would already be familiar with the layout and design. Overall, I would recommend this OER to other instructors. There are many components necessary for a complete Learning Management System. Commercial LMSs come pre-packaged with a specific set of tools, although all may not be useful to the student or instructor. Choosing not to use a LMS requires careful research and thought regarding which non-LMS tools will meet both instructor and student needs.I approached my non-LMS build by considering which web tools would meet my needs in three categories. How will I provide content, interactivity with content and organization? How will I build community and inspire discourse? How will I assess as, for and of learning? The following describes the tools I felt met my teaching and learning needs. Some of the tools meet my needs in several categories and are repeated, with specific reference to how they address the category they are in. I have found it very challenging to keep all my websites organized as I move through OLTD. SymbalooEdu allows me to visually organize all my links as tiles, and create my own personal webmix. I could create a course webmix that contained tools and resources that I think my students might need or want to use for the course and share it with my them as a jumping off platform for the course. I like that the webmix is available from any computer with an internet connection. So even if you have quicklinks to special sites on your home computer, you can still quickly access them via SymbalooEdu, without having to remember the URL. Google sites would be my choice for housing content, lessons and course calendar. Content can easily be uploaded as a file, or typed directly into a page in the course template. Other media, such as videos or photos, can also be uploaded easily.What I don’t like about Google sites is that the templates have limited visual appeal, and you are very restricted in what you can change. You have to be very careful to start with the template that you want. I am also concerned about security and privacy, since Google owns the site, and information is stored on US servers. Google Drive (specifically Google docs) is a great way for students to share files with each other for peer review or collaborative writing (building community). It is also a good way for teachers to share material with students and provide feedback. The drawbacks are the same as for Google sites. For face-to-face discussion, I would use Blackboard Collaborate. Collaborate meetings combine text, audio and visual media, allowing real-time conversations and help to build community by encouraging interaction among course participants. Smaller groups of students can meet in breakout rooms to discuss topics. The whiteboard feature allows collaborative writing, and slides can be saved to be reviewed later. Students can become moderators and have the opportunity to teach their classmates. Instructors can also use a Collaborate room to meet with a student one-on-one for tutorial help or feedback on course work. Challenges to working in Collaborate mainly involve problems with technology (for example, not enough bandwidth or malfunctioning microphone). In addition, students will need to own a set of headphones with a microphone and perhaps a webcam. This may be a concern for students with low income. For ongoing group discussions, I would use Google Plus. Even though I was a reluctant user of this tool, I have grown to appreciate the power it has as a platform for generating thoughtful discussion. This tool can be used for developing a learning network, discussion, and peer mentoring or helping. I like that Google Plus is easy to categorize; you can create different circles for each class, or even create circles within your class for project discussions. It is easy to access from anywhere you have internet access and is easy to post and upload links, photos or text. My concerns with Google Plus are similar to Google sites. The information resides in the “cloud” and is under the purview of Google, and any information stored on a server is stored on US soil. It is also easy to get overwhelmed, as all new posts appear at the top of the list and older posts can be buried quite quickly if students are prolific “posters”. Using Google sites to create wikis is a great way for students to collaborate on course topics. I like that the wiki can be kept for future students to learn from or add to. Wikis created using Google sites are fairly easy to use. I do find formatting to be a challenge, however, when wanting to go outside the standard text in paragraph form. For reflection and journaling, I would again turn to Google, this time using Google Blogger. Blogger is easy and intuitive, and posting content is simple. 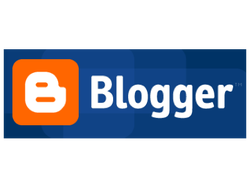 Some drawbacks of using Blogger are that Google owns your blog site so the site could be deleted without notice as well as a limited selection of templates and designs. If students are simply using this tool for reflection, design should not be a of concern. To keep track of student marks, I would use Engrade. This tool includes features such as attendance tracking, gradebook, and calendars. There is an option for communication between instructors, students and parents. Another benefit of Engrade is the ability to create assessments within the tool. You can create a variety of different question types for student assessment. I do have concerns about the location of student information; as best as I could tell data is stored on US soil. There is also a cost for the upgraded version of Engrade. For quizzing, in addition to Google forms (see below), I would use Examview. I have used this tool in the past, and really like how easy it is to include graphics with questions. This software works with a wide variety of publishers test banks, so if you are using a textbook you should have access to its test bank. Creating your own test bank and generating quizzes is easy. A drawback to Examview is that students must be registered to take tests online, and this information is stored in servers on US soil. SymbalooEdu can be used as an e-portfolio, where students can gather and organize digital examples of their work, evidence of online collaboration or projects. I like that this tool is available to students after the course is completed, and allows for continual addition of evidence of life-long learning. As a teacher, perhaps the main drawback of SymbalooEdu is that you do not have control over what students link to in their webmixes. This may be a consideration for younger students. 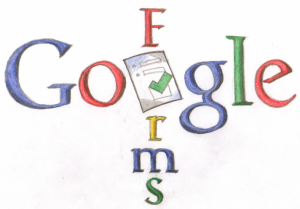 I would use Google forms as an assessment tool, particularly for self-evaluation and peer-evaluation. Google forms can also be used to generate basic quizzes. Another use for Google forms is as a “dropbox” for student assignments. Students can complete a form with a link to their Google doc or assignment URL. Feedback can be given directly on a Google doc, but other methods are required for projects made using other online tools. I have only scratched the surface of uses for Google forms, and look forward to experimenting further!